This is one of those embarrassment of riches weeks. There are at least two and possibly three call stories, encouragement from Paul to respond to our own calls to discipleship and a psalm about trusting God when daring to be disciples. All of them can be meaningfully presented to children! Brainstorm lists of THEMS for your congregation today: national enemies, the opposite political party, rival sports teams, certain people in your class/office/neighborhood who are just so out of it, even certain ethnic groups. Involve worshipers by giving them small sheets of paper on which to write or draw pictures of some of their THEMS. When lists are complete, remind them that God loves each of those people. 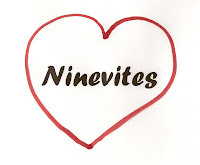 Instruct them to remind themselves of this by drawing a heart around each name or picture. 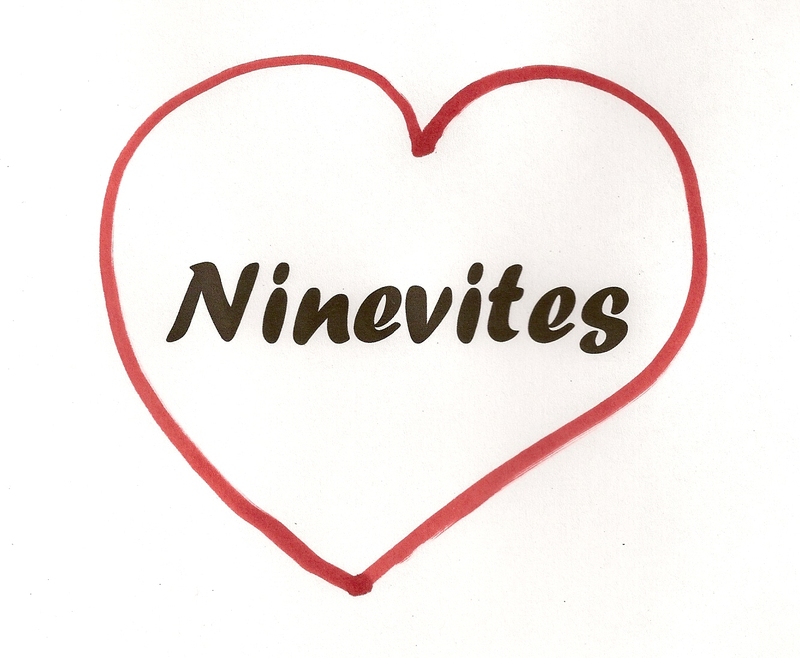 Just as Jonah would have had trouble drawing that heart around the Ninevites, worshipers may struggle to draw hearts around their THEMS. That is good discipleship work. Doing this with the whole congregation rather than just with the children, helps children see that such discipleship work is a life-time challenge. 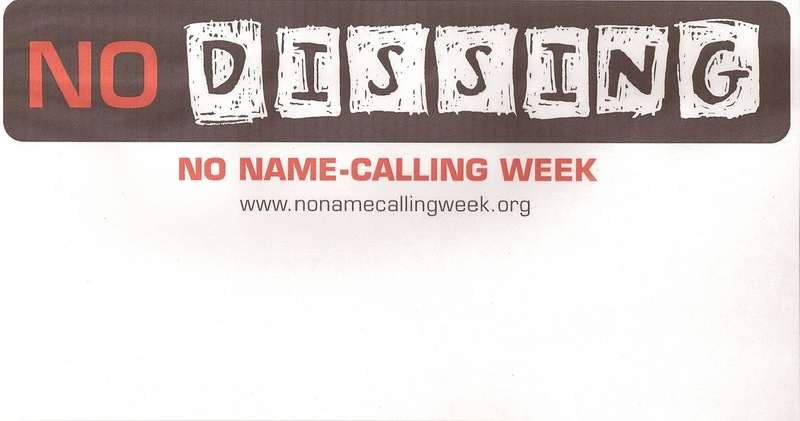 January 23-27, 2012 is the ninth annual No Name Calling Week. It is aimed at fifth through eighth graders with the goal of raising awareness about the damage done by ostracizing others, calling them names and bullying them. In other words it aims to help children not label anyone as “them” and to stand up to those who do. Go to No Name Calling Week for a wealth of interesting resources. _ But there are actually two call stories in this book - God’s call to the Ninevites and God’s call to Jonah. Since readings from Jonah appear only twice in the lectionary (today and Year A – Proper 20), this might a good Sunday to look at the entire book and compare the responses of Jonah and the Ninevites. Go to Year A - Proper 20 for the details of three ways to present the whole book in worship. 1. Read it all from the Bible with the congregation reading the psalm in the whale. 2. Have three readers work from Jean Marzolla’s children’s book of it. at a craft shop - maybe a Ten Thousand Villages shop. Jonah’s story laughs at Jonah, but it also reassures us that God doesn’t punish Jonah as he deserves. God doesn’t let Jonah drown in the sea and when he is spit up on the beach, God gives him a second chance. God even provides the vine in an attempt to get through to Jonah who still doesn’t get it. This is a good balance to the Ninevites and the fishing disciples who respond promptly and correctly. So, we can hope that God will give us second chances when we need them too. 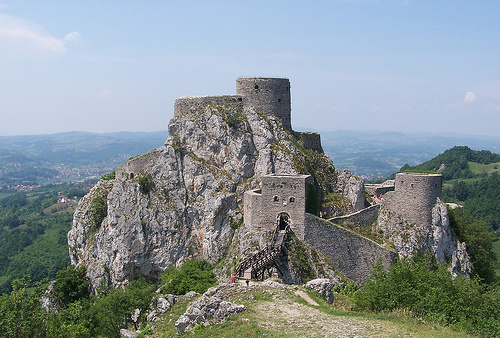 If this discussion of rocks leads you to sing either “Rock of Ages” or “A Mighty Fortress Is Our God” notice that the words are not all child friendly. (Actually, “Rock of Ages” has been omitted from many recent hymnals because the language is difficult even for adults.) But if you must sing them, before singing, point to one or two key phrases saying what it means to sing them while answering God’s call. _ While adults need to hear about the world view that underlies Paul’s message, it won’t make much sense to children. What is important to all worshipers is Paul’s insistence that NOW is the time to act. NOW is the time to live like God’s people. We can’t wait until we grow up or until we feel like it or until don’t have something else to do or until we are braver. _ Paul gave his readers specific examples of ways they could act. Children need specific examples of ways they can be God’s people today, e.g. being kind to all – even those they don’t particularly like, refusing to join in things they know are wrong, standing up against name-calling and bullying, etc. _ Especially for children a bell is a call to do something – go to school, change classes, go home. Emphasize the urgency of responding to God’s call by interspersing the phrases of the familiar hymn “Lord I Want to be a Christian” with a ringing bell. (The bell needs to be piercing and insistent rather than mellow.) Before singing the hymn, tell the congregation what will happen and suggest that each time the bell rings they think the word NOW! Repeat with Lord, I want to be more loving, like Jesus,…. _ The first 2 verses connect to the call to act NOW in the 1 Corinthians text. The suggestions there apply here also. _ The story of the call of the fishing disciples appears in Matthew, Mark and Luke- with Luke including most details – and appears during Epiphany each year of the lectionary. Go to Year A - Third Sunday After Epiphany for suggestions that work with all the accounts. _ Today it is amusing and worthwhile to note that the fishing disciples get up and follow in six verses. Jonah takes four chapters and then we are not sure he has really got it yet. _ Clarify the focus of this service with a matching call to worship and closing. Leader: Come, let us worship God! Thank you very much for sharing what God has placed on your heart. Your work is indeed very inspiring. God's continued blessings always. Diocese of Trinidad and Tobago. Yes! Thank you for sharing. Your blog is the first place I turn when planning Sunday school, and I dream about being able to do more to include children in worship! I am so grateful for this resource! I'm a Presbyterian pastor, currently staying at home with young children, just beginning to get involed with CE at the church. Thank you both for the encouragement. It's good to know you are both out there working on some of the same things I am. I not only use your ideas for children, but also to make the adult worship more interesting, and help me get focused for my adult sermon. You have such a centered approach to children's ministry. thank you! I riffed on the idea of "lectio divina" during the sermon. I read the passage a couple of times and as the grown-ups shared with their words what the scene looked like in their heads (we do a lot of talking during my sermons! ), the kids drew pictures of what they heard. I made a mini-art gallery in the back of the sanctuary and hung up their pictures. It went over well!